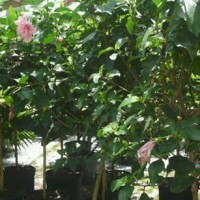 Hibiscus Tree Standard 15 Gal. The hibiscus is an attractive plant with big, beautifully colored flowers. They need small care and can be grown inside or outside your home. If you provide proper care to this plant, you will be rewarded will brightly colored flowers. 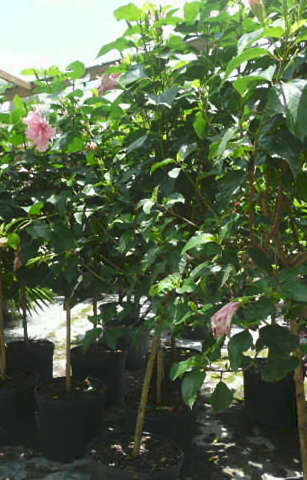 This hibiscus is a tropical plant and needs warm conditions to thrive and bloom. The best temperature range for this plant is between 60 and 90 degrees Fahrenheit.